Many risk-averse investors remain traumatized by the dotcom bust of 2000, which obliterated $6.2 trillion in household wealth over the following two years. The ingrained perception has lingered among conservative traders: technology stocks are simply too volatile. That’s a big miscalculation, because a slew of technology “disruptors” have matured into steady growth stocks. These tech stocks enjoy dominance of their respective niches and boast rock-solid balance sheets, allowing them to weather market gyrations and reliably grow over the long term. To be sure, large-cap tech stocks that were driving this prolonged bull market have recently pulled back, but after a huge run-up these shares were due for a breather. And besides, there’s more to the tech sector than the FAANG market leaders. If your portfolio is heavily weighted toward the Silicon Valley “story stocks” touted on CNBC, you should pocket at least partial gains and transition to smaller value plays in the tech sector that get less attention. These unsung heroes afford plenty of upside potential in 2019. Your dad (or perhaps your grandfather) would speak fondly of the so-called “Nifty Fifty” blue chip stocks that every sensible, farsighted growth investor should consider owning. Of course, economic change has knocked many of those once bulletproof investments off their perches. However, instead of perceiving tech stocks as too dicey, you should cherry-pick those that have become today’s nifty buy-and-hold investments. Cisco (NSDQ: CSCO). The lone “mega-cap” on the list, this maker of routers, switches and cybersecurity products dominates the networking field. ServiceNow (NYSE: NOW). As an innovative provider of enterprise cloud computing solutions, this software firm leverages one of the world’s fastest-growing tech niches. Digi International (NSDQ: DGII). This pioneer in the booming field of machine-to-machine (M2M) systems will soar as its solutions are adopted for more business and consumer uses. Amphenol (NYSE: APH). As a manufacturer of connectors for electrical and fiber optic systems, this specialty electronics provider is set for multiyear growth. Cognex (NSDQ: CGNX). This maker of machine vision products occupies the “sweet spot” in the expanding robotics industry. 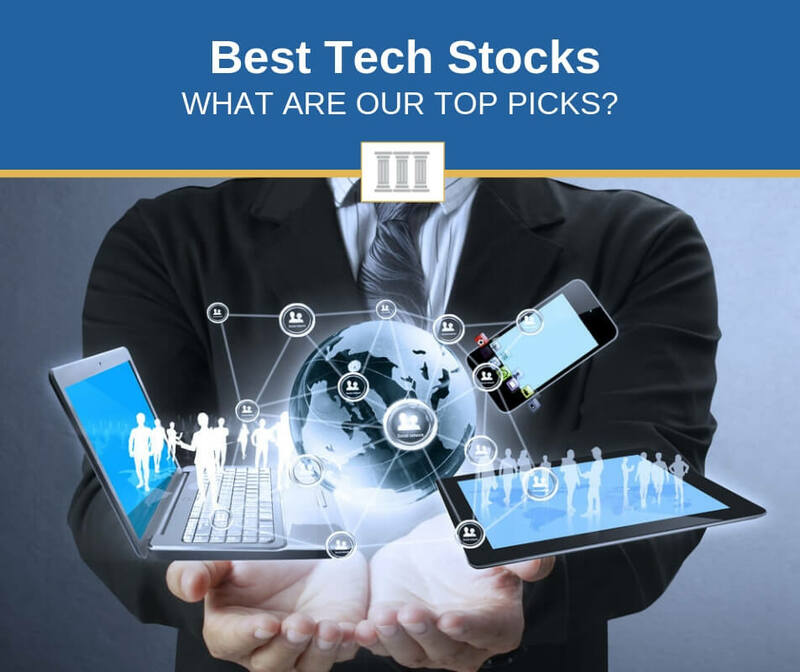 Continue reading to learn more about each of these best tech stocks and my thoughts on each. Publicly traded technology companies continually develop new capabilities that improve the speed, efficiency and effectiveness of a wide range of human activities, both personal and commercial. Technology companies are predicated on the truism that the only constant in life is constant change. As society evolves, it generates never-ending demand for innovation and new tools. The companies that are tapped into constant change will prove the most profitable, especially in the tumultuous times we’re witnessing today. Tech stocks are best suited for growth investors who can handle extra (but not necessarily excessive) risk. The tech sector typically doesn’t pay dividends, which makes it less appealing to income investors. That said, tech stocks that are maturing into cash-rich blue chips are starting to offer dividends, making them attractive growth-and-income plays. How Do You Determine What Qualifies as a Top Tech Stock? Reliable cash flow allows tech companies to make the consistently robust research and development (R&D) spending that’s necessary for them to maintain their competitive edge. Lots of cash on hand also provides a cushion for market downturns. A tech company that doesn’t plow considerable cash into R&D will eventually get overtaken by competitors. A competitive tech company also requires seasoned management and a top-notch team of engineers, researchers, and developers. As broader market tumult spooks investors, it’s more important than ever to stay focused on underlying fundamentals. That’s why you should continue to be bullish on the technology sector, which remains high in liquidity, low on debt and long on prospects. Reality checks are crucial with tech stocks. Rocket stocks can crash. A CEO might be a showboat who over-promises and under-delivers. But quarterly operating results separate hype from reality. They cut through the noise. They provide clarity. And it’s clear from their projected earnings numbers that my five picks are solid. Each company is plugged into macro-trends that serve as long-term tailwinds. Meanwhile, corporate America has compiled a record amount of cash that it intends to tap for long-deferred information technology investments, another boon in 2019 for our five technology companies. Let’s take a closer look at each stock. 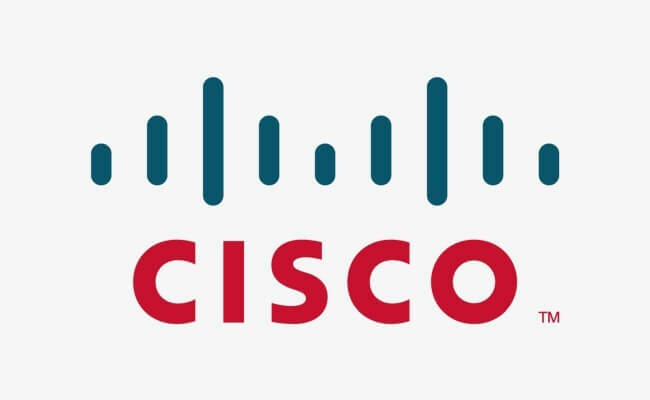 With a market cap of $207.3 billion, Cisco is one of the biggest suppliers of Internet-based networking products. The company’s routers and switches are pervasive in offices, classrooms and government offices around the globe. Cisco boasts a portfolio of cybersecurity products, a commanding presence in commercial information technology, and entrenched ties with the global defense establishment. The company also features a strong balance sheet, di­versified and reliable revenue streams, and strong earnings prospects. Cisco will continue to benefit from the accelerating trend of around-the-clock, global connectivity. Moreover, as the leading player in cyber security, Cisco is in the best position to profit from growing concerns about international hacking. Attacks allegedly emanating from Russia, China and North Korea against the U.S. have placed cyber security on the political front burner, indicating continued strong demand for the company’s security products. When the Democrats take control of the U.S. House of Representatives in 2019, they’re poised to investigate Russian hacking in the 2016 presidential election, bringing the need for cybersecurity products to the fore. Why is it a good stock? Cisco may be on the conservative side as a technology stock, but the San Jose-based behemoth exemplifies the strong fundamentals that you should look for in this risky market. The company sits on a big cash hoard ($42.6 billion) and controls proprietary technology that’s increasingly coveted by consumers and businesses around the world. CSCO’s FPE is 13.9, cheap compared to many of its large-cap peers, as well as the S&P 500 which currently sports an FPE of about 17. The average analyst expectation is for Cisco to post year-over-year earnings growth in 2019 of 8.5%, and 9.1% over the next five years on an annualized basis. The icing on the cake is Cisco’s dividend yield of 2.85%. The transition to the cloud is among the biggest tech trends afoot today. By using data storage and IT capabilities that are centralized and located offsite, companies are able to greatly reduce their processing costs through efficient outsourcing. It’s a disruptive technology that has been a “game changer” in the fast-moving tech sector. A leading player in cloud computing is ServiceNow. Although a relatively new entrant to the field that was founded in 2003, the firm already sports a market cap of $29.7 billion. Through innovations in cloud technology and aggressive courting of new customers, ServiceNow has been stealing market share from IT legacy system companies such as IBM (NYSE: IBM), a trend that shows no sign of abating. The greatest strength of this tech up-and-comer: it generates revenue from subscriptions, a business model that should drive top-line growth as the company expands. ServiceNow’s Platform-as-a-Service (PaaS) subscription model is an IT delivery method whereby software and related data are centrally hosted on the cloud and accessed by a web browser. PaaS has become all the rage for many widely used business apps. The average analyst expectation is for ServiceNow to post year-over-year earnings growth in 2019 of 32.6%. Over the next five years, earnings growth is projected to reach 45.1%, on an annualized basis. The stock’s FPE is a bit pricey at 52.9, but the company’s growth trajectory isn’t likely to disappoint investors. Founded in 1985 in Minnesota, Digi is the pioneer in the creation of M2M devices and platform solutions. M2M has morphed into the Internet of Things (IoT), a term that didn’t exist when Digi started to lay the groundwork for IoT in the 1980s. Digi provides the most sophisticated line of cellu­lar gateways specifically designed for M2M applications. With a market cap of only $319.1 million, Digi has enormous room for long-term growth, but you’ll rarely hear the talking heads on financial television discuss the company. That’s good news for investors who seek hidden gems in the tech sector. M2M devices communicate with each other through a central server, without a human being as intermedi­ary. They use sensors to transmit valu­able data — such as fuel levels, room temperatures or inventory capacities — through a wired or wireless network to a software application. The software application translates the data for meaningful action. For example, if the data exchange indicates that a refrigerated locker is getting too warm, the system will make a temperature adjustment — automatically and without a person getting involved. M2M remotely connects a wide va­riety of machines into a complex com­munications matrix. Major applica­tions today include utility meters, fuel tanks, vehicle fleets, point of sale scan­ners, and medical instruments in a hospital. M2M also automates the de­livery of services and billing, making them more efficient and cost-effective. Cellular carriers are embrac­ing M2M, because carriers can offer it as part of a cellular package to both customers and businesses. Digi has emphasized M2M since the company’s inception, a focus that has given it technological dominance and a jump on future competitors as IoT use mushrooms. The stock’s FPE is 25.8. The consensus among analysts is for Digi’s earnings to grow 60.7% year-over-year in 2019, and 17% over the next five years on an annualized basis. With a market cap of $25.6 billion, Amphenol designs and manufactures connectors and interconnecting systems that are used primarily to transmit electrical and optical signals for a broad variety of electronic applications. Electronics is a high-margin business that rewards innovators such as Amphenol, which enjoys considerable pricing power. The company’s clients include companies in the defense, automotive, industrial, and telecom sectors. Amphenol boasts the world’s largest portfolio of radio frequency (RF) interconnect products, all of which meet strict RF and data systems requirements, both in the commercial and military markets. In the military, Amphenol is tapping into booming demand for pilot-less drones, by providing “ruggedized” electronic components that perform mission-critical tasks, such as battlefield communications. Amphenol continues to introduce new products and applications to expand its customer base. The firm also is pushing into new geographic markets. Based in Connecticut, the firm operates in more than 60 locations around the world. APH sports a FPE of 21.2, lower than the sky-high valuations of some of its rivals. Due to prudent management that has kept costs in check, the company’s operating margin is a robust 20.6%, which bodes well for future quarters. The average analyst expectation is for Amphenol to post year-over-year earnings growth in 2019 of 8.6%, and 9.9% over the next five years on an annualized basis. Cognex (market cap: $7 billion) is one of the leading makers of visual sensing systems, with more than one million installed. You’ll find its vision sensors, software and systems in automotive plants, food-processing and beverage-manufacturing facilities, and electronics manufacturers. Cognex’s products detect defects, monitor production, identify and sort parts, and guide assembly robots. With the automation trend accelerating, demand for vision systems like those produced by Cognex will only grow. Cognex originally focused on machine vision tools to automate semiconductor and electronics manufacturing, but now the firm generates a larger portion of revenue from general manufacturing applications. Right now, robots are doing about 10% of all manufacturing work in the world, according to the Boston Consulting Group, but that’s expected to jump to 25% over the next seven years. The research firm estimates that global spending on robots will hit $87 billion by 2025. The spread of robotics on the factory floor is a trend that tariffs and other trade sanctions can’t stop. Technology, not China, is replacing factory jobs in America and around the world. CGNX’s FPE is 30.2. The average analyst expectation is for Cognex to generate year-over-year earnings growth of 11.6% in 2019 and 27.4% over the next five years, but those estimates are likely to prove conservative as demand explodes in the global economy for “smart” robotics.